Novaproducts Global is a specialist provider of acoustic ceilings in Perth WA for over 30 years. Architects and engineers seeking an acoustic ceiling solution with excellent sound absorption prefer to specify Ripplesound and RippleTone, two bestselling designer ceilings from Novaproducts known for their superior acoustic performance. Ripplesound and RippleTone can be used to form full ceilings as well as floating ceilings; they can also be used as feature panels for ceilings and walls with the assurance of minimal weight loading. Ripplesound acoustic ceilings are made from corrugated perforated aluminium and feature superior acoustic rating (NRC from 0.70); and a polythene vapour barrier to control condensation. 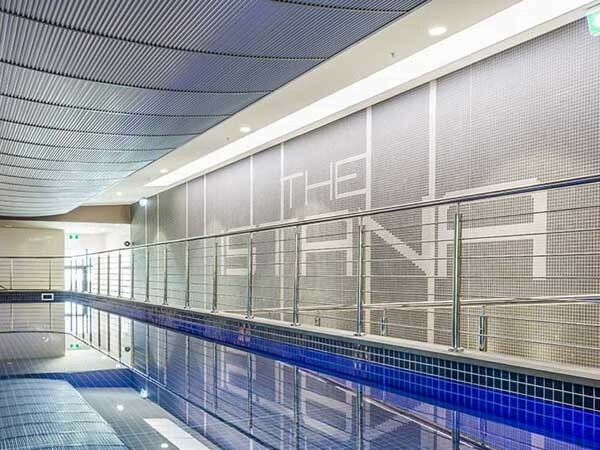 Recommended for aquatic centres, the lightweight and eco-friendly ceiling can be easily installed with the Renhurst FasTrack suspension system. Featuring a stunning design with superior acoustic rating (NRC from 0.80) and lightweight characteristics, RippleTone is ideal for office spaces in both wall and ceiling applications. RippleTone is also easy to install with the Renhurst FasTrack suspension system.